Pattaya School of Languages and Computers (PLC) is a private school in the resort city of Pattaya, in Thailand. The school was established in 1998 and is licensed by The Ministry of Education Thailand. PLC school was certified to ISO standards by The Private Education Commission in 2012. 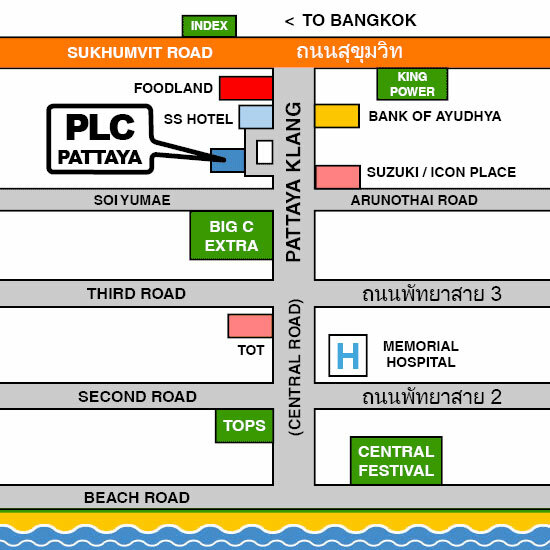 PLC School is located within the main city (central Pattaya), and is on a main road with easy car parking. Pattaya is a multicultural city and an ideal location for expats or regular foreign visitors. It is a resort city and has an industry based on tourism and property development. Pattaya is not far from the capital Bangkok, the international airport and the main motorways, and has many world-class developments and brands in and around the city itself. There are many beaches and local attractions, along with temples, modern shopping malls, markets, beauty salons, spas and traditional Thai massage parlours. It is very much a twenty-four hour society and shopping areas remain busy late into the night. Pattaya is a safe city and has both regular police and tourist police to help foreigners with information and security. Hotels and condominiums also run their own security and access systems. There are several modern and well equipped hospitals in Pattaya for any health issues or medical requirements, and there are many high street pharmacies that offer a complete range of medicines and health care products. Pattaya is a diverse city and can offer something for families, young couples, tour groups, and single travellers. Many tourists visit Pattaya for holidays. Some foreigners stay long-term and invest in holiday homes or plan for retirement in Thailand. Pattaya city has all the familiar brands, services and facilities to provide a home-from-home experience for residents and travellers. This also provides help and support for those travelling to Thailand for the first time. Those working or living in Pattaya long-term have a comfortable environment along with all the benefits of a tropical climate, a favourable currency exchange rate, and the unique social experiences that are found in the culturally rich and diverse Thai society. 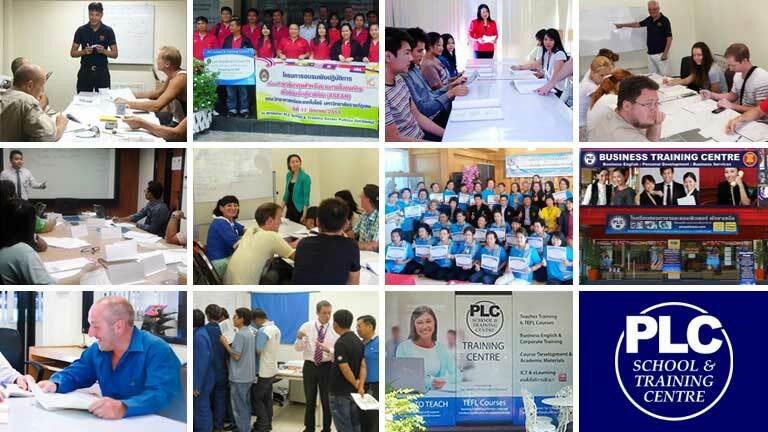 If you are considering spending more time in Pattaya or Thailand and want a useful and interesting way to occupy your time, PLC School can provide the answer. Long-term language courses, education visa support, teacher training courses (TEFL) are available if you enroll as a foreign student. Learning the Thai language to any extent gives you an advantage if you intend to stay long-term. 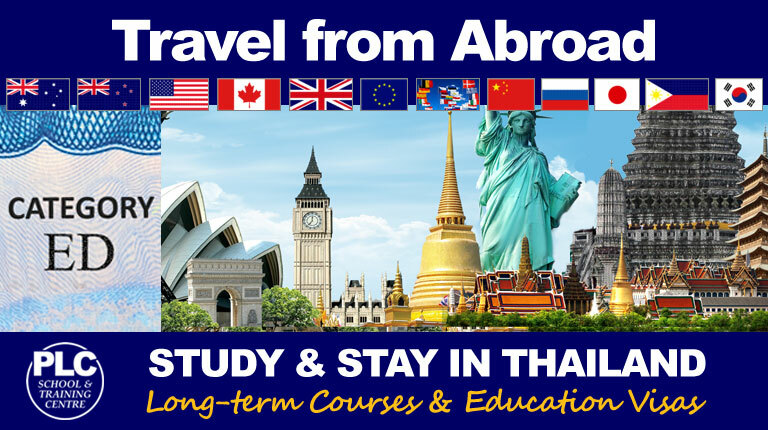 During your study, our experienced staff can help and answer any questions you may have about immigration issues, accommodation, travel, or any aspect of daily life in Pattaya. Studying a language can help to improve your communication skills with local people, and becoming a foreign student also allows you to apply for a long-term education visa (valid for 6 months or 1 year each time). This gives you time to explore a new language and culture along with the benefits this can bring, and your stay is supported by a valid visa. Applying for, or maintaining a visa for long-term stays or study in any foreign country can seem difficult, and this can be more frustrating if there are language issues. PLC School can offer the prefect solution to this situation that may also help with other aspects of your life in Pattaya. Each Education Visa application will follow the general guidelines as shown below. However, there may be considerations in each case. Our friendly staff can help to make the application process as smooth as possible by confirming the correct documentation or addressing any issues for your application. Courses are available as one-to-one, twin classes or group classes. The cost often depends on how many students there are per class. Group classes are the most cost-effective courses and provide a more social environment during class time. You can create your own private group, or join an existing open group. As a holder of an education visa you will need to attend school for a specific number of hours per week. However, there is plenty of free time so you can study further at home or travel around and to get to know more about Thai culture. PLC School often organizes day trips and longer breaks that are open to all students as a part of a Thai Language and Culture program. PLC School can provide a quote for your Education Visa package once your application requirements and course details are known. A few example costs are shown below as a general guide. PLC School recommends a visit to one of our branches in Pattaya to assess your application. If you are not in Pattaya (or Thailand), you can contact us by phone or send us a message. All courses and education visas are subject to terms and conditions. Application and payments must be made in advance. Prices include admin and registration fees and are per person. The following information represents guidelines only and is subject to change without prior notice. All applications are assessed on a case by case basis and PLC reserves the right to refuse an application without providing a reason. Full terms and conditions are provided on application. 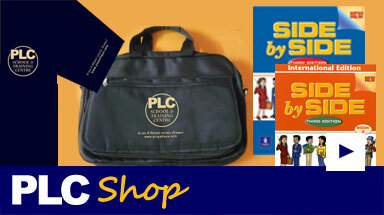 PLC School will post details of any visas updates here, or in the School reception areas when possible. As a student, you must attend classes and provide a record of attendance for the Thai Immigration Bureau. You must also attend a set number of hours per week to maintain your education visa. Failure to follow the education visa requirements will result in the cancellation of the visa. The first step is to decide which language course you would like to enroll for and the duration requirement for the Education Visa. In some cases, the cost will depend on your learning requirements and level. A general language course is more in-depth than an Easy English or an Easy Thai course for example, and the more advanced levels can involve higher tuition costs. A placement test can be arranged to identify your current level if this is a consideration. The language courses represented here are specifically designed for effective and enjoyable long-term language learning. You can choose to focus on the academic aspect, or the more social and practical side of learning a language. These particular courses are also ideal if you intend to apply for an education visa as each syllabus easily covers the required study time. Other language and training courses at PLC School also offer Education Visa support and details are included within the relevant sections. This is a group class open to all students. Visa Options: 6 months or 1 Year. Full cost quoted on application. Private one-to-one, twin, and private group classes. This is an open group class (class theory covers a 5 week period). Visa Options: 1 Year. Full cost quoted on application. If you decide to enroll on a course and apply for an education visa, the next step is to consider the application process. The following is an outline of what's involved and depends on your current location. PLC School can help and confirm the process and documents required. If you can prepare or have some of the items and documents mentioned below, the application process can begin (this is especially important if time is an issue). 12 passport sized photos of yourself with a white background. Rental contract (condo, apartment, house) or proof of ownership. 3. After PLC School returns your documents, you can apply for your student visa at a Royal Thai Embassy in your own country or the Thai Embassy in Laos (Please note: your country of origin may not be accepted - please check with PLC). Applicants should be granted a non-immigrant, education class or Non-ED, which is the right type of visa for study purposes. This visa will give you 90 days of stay when entering Thailand, but every 90 days you can extend for a new 90 day stay at an immigration office (at a cost of 1,900 Baht). No need to leave Thailand. You can do this for a year. We can advise you about the continuation process after one year. Notice: India, China, Vietnam, Middle Eastern countries and some African countries need to return to their home country to receive a non-immigrant “ED” visa from their local Thai Embassy or consulate. Please check with the Thai Embassy in your country first because some require further documents. 1. A scanned copy of every stamped page of your passport. Please add your signature to each copy. We will stamp over your signature - please allow enough space for this. 2. We will send a Personal History Check form and a PLC Registration form for you to fill in and return. 3. We need a recent passport sized photo with white background (a collared shirt or blouse should be worn for the photo) Email the photo to PLC and we will print it out here. Once we have all the required documents, we will then complete the paperwork required to get a letter from the Education Department and provide a letter of acceptance. This may take up to 20 days to process. After this, we will post all the documents back to you to take to the Thai Embassy/Consulate in your country. The postage and photo will be an additional cost of 1,600 THB or more - depending on location. Once we return the documents you will be required to attach new passport sized photos to the documents to give to the Thai embassy/consulate in your country. Allow a maximum of 10 days for postage. Online: Send your name, email address and your question or comment. Visit PLC School: Call in and discuss the options open to you with our friendly staff and take a look at course books and available class times. 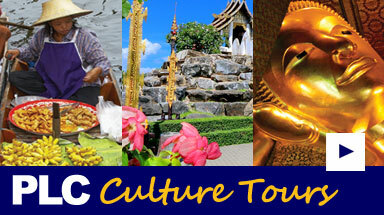 Thai Culture Day Trips are open to students and visitors. Discounts for PLC students. 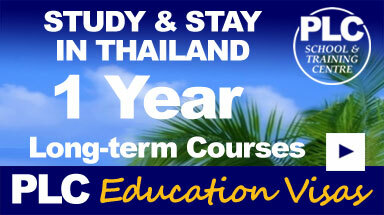 Travel from abroad and study at PLC School in Pattaya. Long-term Study and Visas. Microsoft Office and General I.T. All content is Copyright © Pattaya School of Languages and Computers (PLC) 2016 Site developed by Thai Source Multimedia (TSM) under the following licences: Bootstrap licensed under MIT License and Font Awesome font licensed under SIL OFL 1.1.